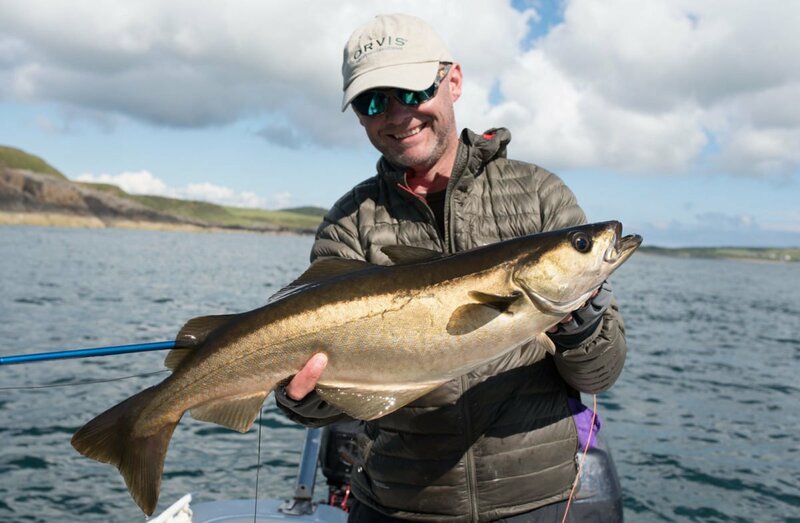 Join us in a chartered boat for the experience of a lifetime, fly fishing or spinning for hard fighting Pollock or pit your wits against the mighty Tope. Your boat will be chartered for you and/or your guests. Season – May – October – Fishing can be fly or multiplier/spinning . 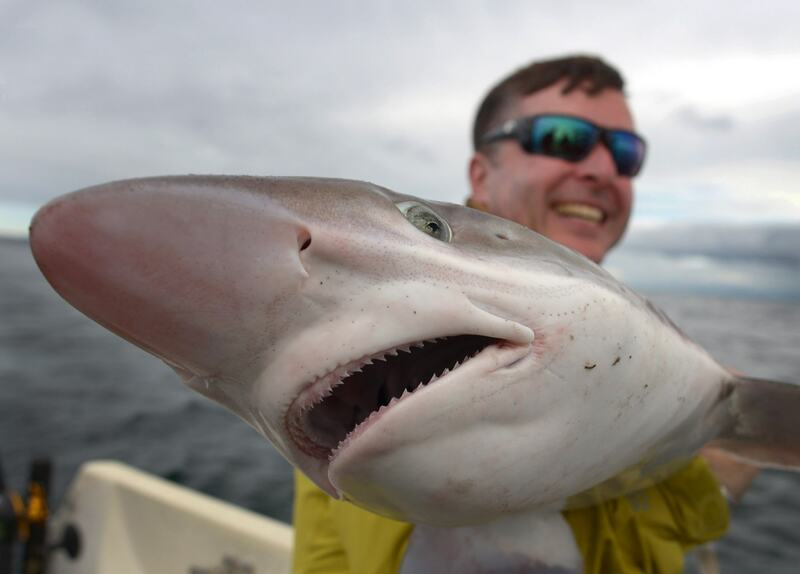 This is one of the best sea fishing trips you can experience in Scotland. You will spend the day fishing for Pollock, Wrasse, and Tope. You can fly fish or fish with a spinning rod or boat rod and multiplier. 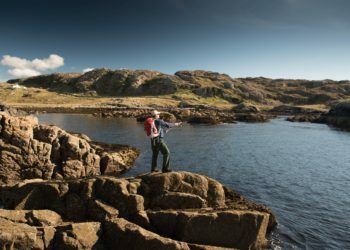 Located 3 hours south of Edinburgh and Glasgow, and 1.5 hours from Prestwick airport, this corner of Scotland offers some of the best sea fishing in Europe. Fishing from a boat close to the shore, you can enjoy fly fishing or spinning with a lure, the action is fast and furious. Your professional guide will assist you in the boat. Trips are typically 6 hours, though we are flexible. Chartered boat with qualified skipper and guide. Photographs of the day for each guest. Catch Pollock and Sea Bass from the shore or boat using fly fishing gear. This exciting saltwater fishing rarely produces blank days and if conditions are right can produce non-stop sport. UK +44 7734 810 706 Toll Free USA - 800-972-0408 or email an enquiry to start planning this fishing experience. 15 years experience designing Scottish fishing holidays. 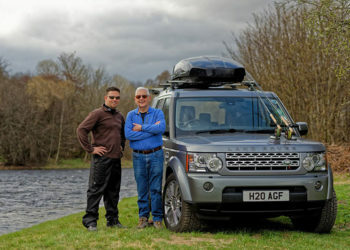 Orvis Endorsed service with 15 guides spread throughout Scotland. Skilled and experienced itinerary designers and a huge knowledge of accommodation. Sea fishing from a boat, for cod, pollock, and wrasse, close to a shoreline that is one of the most important geological sites in the world. Breathtaking scenery. Your boat will be chartered for you and/or your guests. 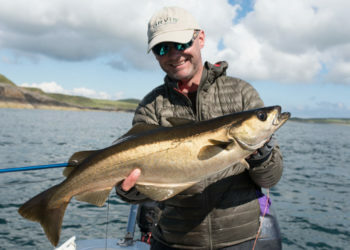 Season – May – October – Fishing can be fly or multiplier/spinning . Fly fishing or lure fishing from the shore for Pollock. Stunning scenery. Secret Locations. Shore fishing, some walking involved. Overseas guests only. 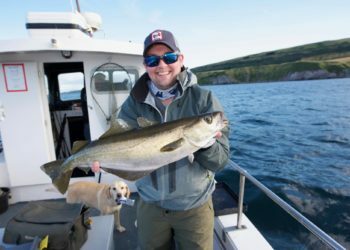 Your fishing guide will be focused and dedicated to you and/or your guests. You will not be part of a multi-party group. Moderate to hard walking involved, so you need to be fit. Season – all year. Fly fishing or spin casting, occasional bait.